Other seminar times can be requested on Thursday or Friday. Seminars also available on Sunday afternoon. Please call for 704-735-6021 for more information. Enjoy lunch cooked on our wood grills served form 11:00 -1:00 PM. Please call 704-735-6021 to RSVP for your meal. reserve your seat in one of our seminars. 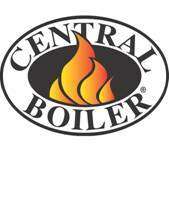 Central Boiler® Demonstrations - learn all about these high quality outdoor wood furnaces that utilizes your wood resources, cut your heating bills (at least in half) and live in comfort. From I-85 N/S take exit # 17 (Gastonia) to #321 North.